It's a part of life that we'd all like to think we're mentally prepared for. It's the way of nature, after all: When we adopt our pets, we know on some level that we'll eventually have to make some difficult decisions as they get older. 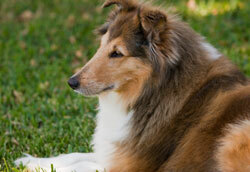 We understand that, in most cases, we will outlive our cats and dogs. This matter-of-fact logic somehow escapes us when the time comes to say goodbye to a cherished pet. Our animals are capable of showing affection, making us laugh, cheering us up – but they are unable to tell us when they are sick or in pain. As our pets age or become ill, we are often faced with the painful idea of choosing to end our pets' suffering. The decision to euthanize a pet is never an easy one – feelings of guilt, grief, and anger are quite common. Often, the grieving process begins before the end of a pet's life. Talk to your vet - Your pet's veterinarian understands how you are feeling, and he or she can answer all of your questions about your pet's health and well-being. A good vet should be willing to discuss the emotional aspects of euthanasia with you and your family. Involve your family - Everyone in the family should be consulted when deciding to euthanize a pet. Discuss the decision together, and be sure that everyone understands the reasons behind the decision. If you have young children, you may not want to discuss euthanizing your family pet; some younger children may not be ready for such a mature topic. Use your best judgment based on your child's age and maturity level. 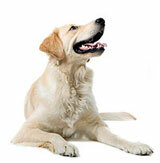 Keep your emotions under control - Pets are very sensitive to human emotion. It's natural to feel sad in your pet's final days, but remember that your pet doesn't know what's going on. If you are overcome with emotion, your pet may feel afraid, confused, or stressed out. You'll have time to grieve later. Try to keep your spirits up around your pet and focus on making him physically – and emotionally – comfortable. Be realistic - It's not easy to choose euthanasia for your pet, but it's important that keep your pet's best interests at heart. If your pet is too sick or in too much pain to enjoy a good quality of life, euthanasia is usually the most humane decision you can make.